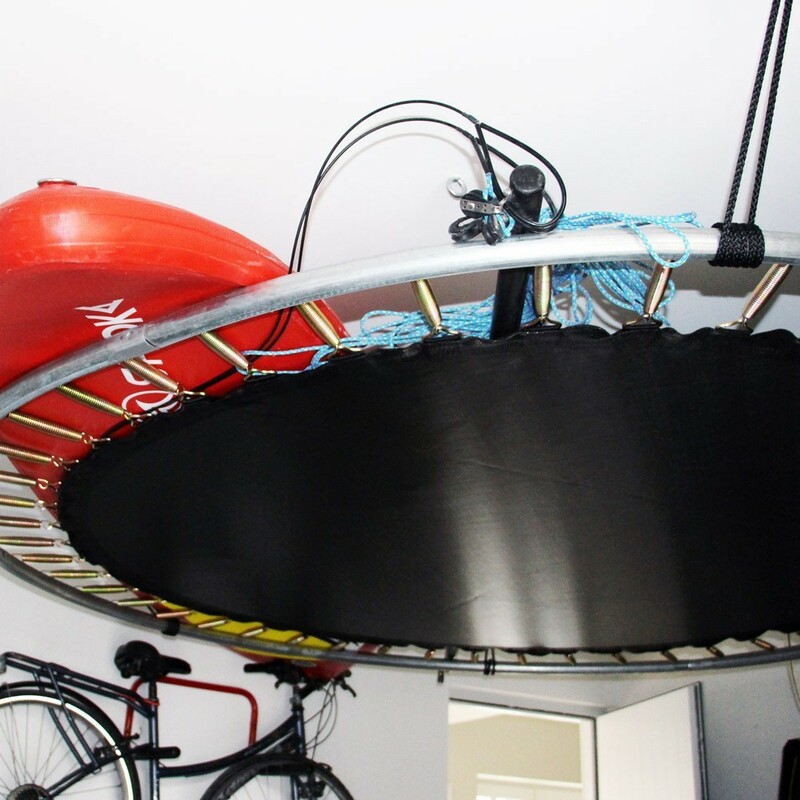 A hanging circular garage storage unit. Fixation with pitons. 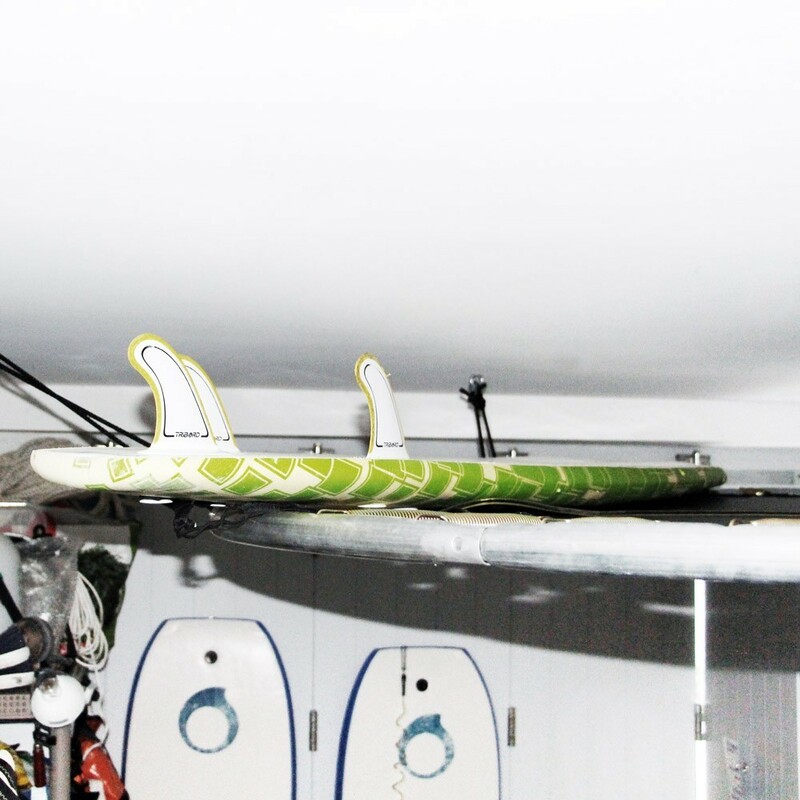 No more space left in your garage? 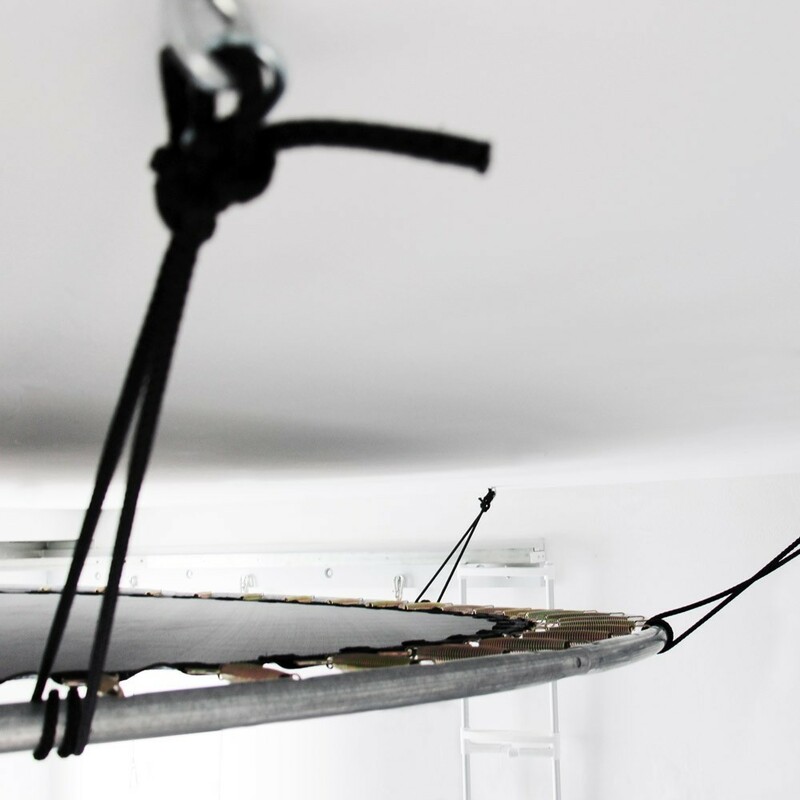 Have you thought about using your ceiling? Create a new storage space with our 245cm wide garage-storage! 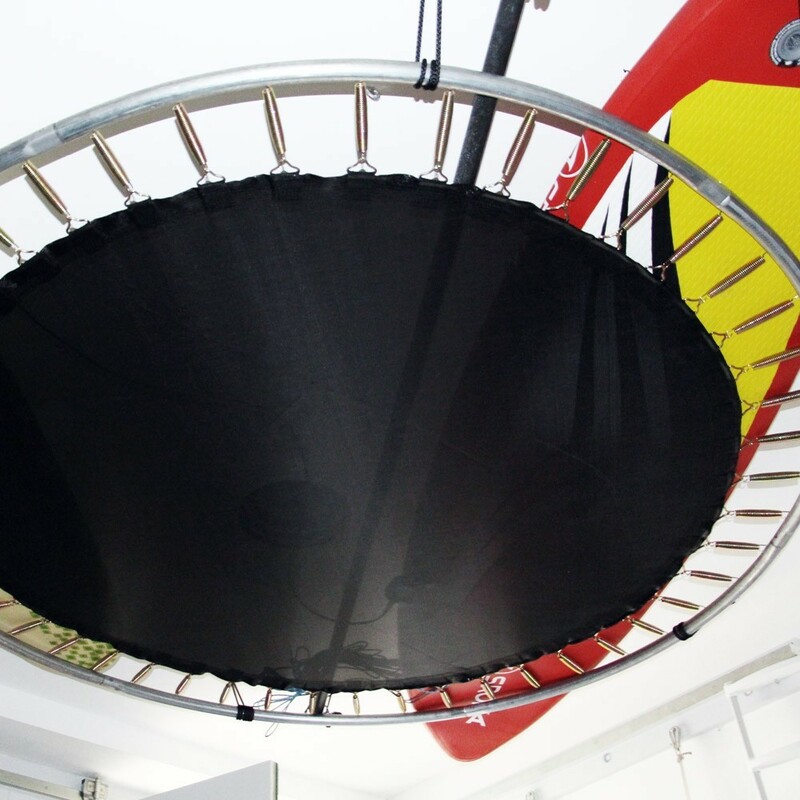 Its shape is similar to a trampoline, and it has all its strong points to create a storage space. - 100kg maximum load, this garage storage offers a spacious area to store your belongings discreetly. - A galvanised steel framework and a reinforced jumping mat makes the robust structure of this garage storage unit. Originally designed for an outdoor use, your garage storage unit will have no problem with moisture or negative temperatures. - A large storage surface to be exploited. This unit will easily find its place wherever you choose, in your garage or outdoors. The only condition is that it needs to be hanging from a sold structure. 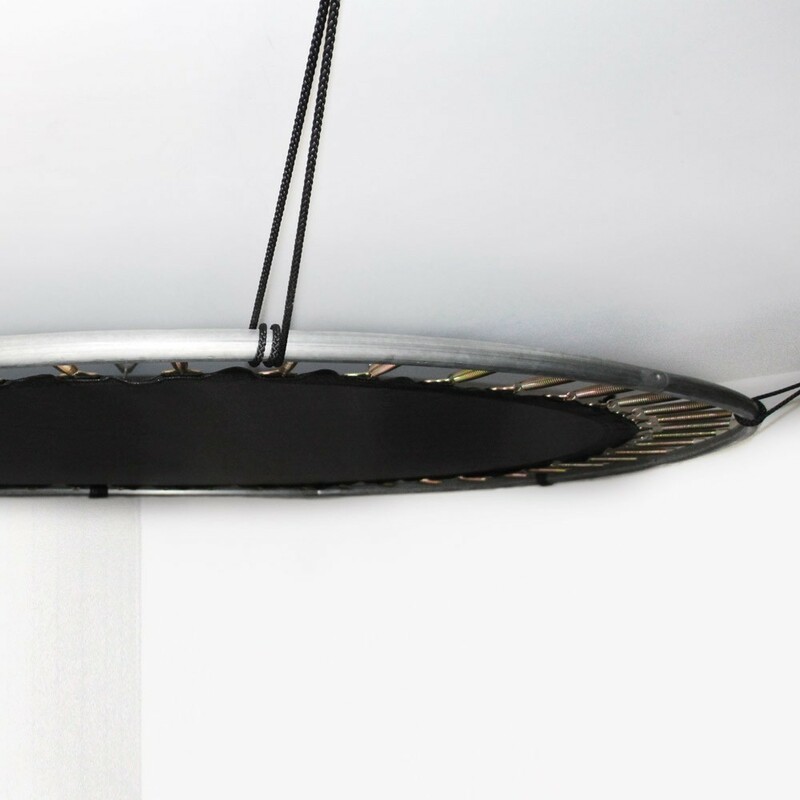 - An adjustable height depending on your desires by adjusting the tension cord. 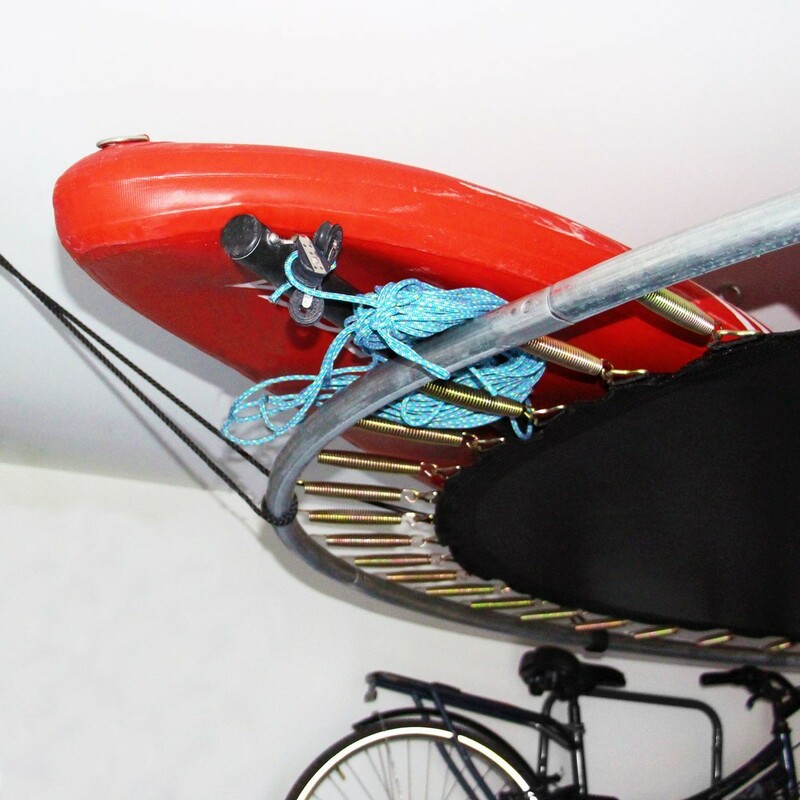 - Ideal for voluminous objects like suitcases, surfboards, canoes, ladders, parasols, etc. 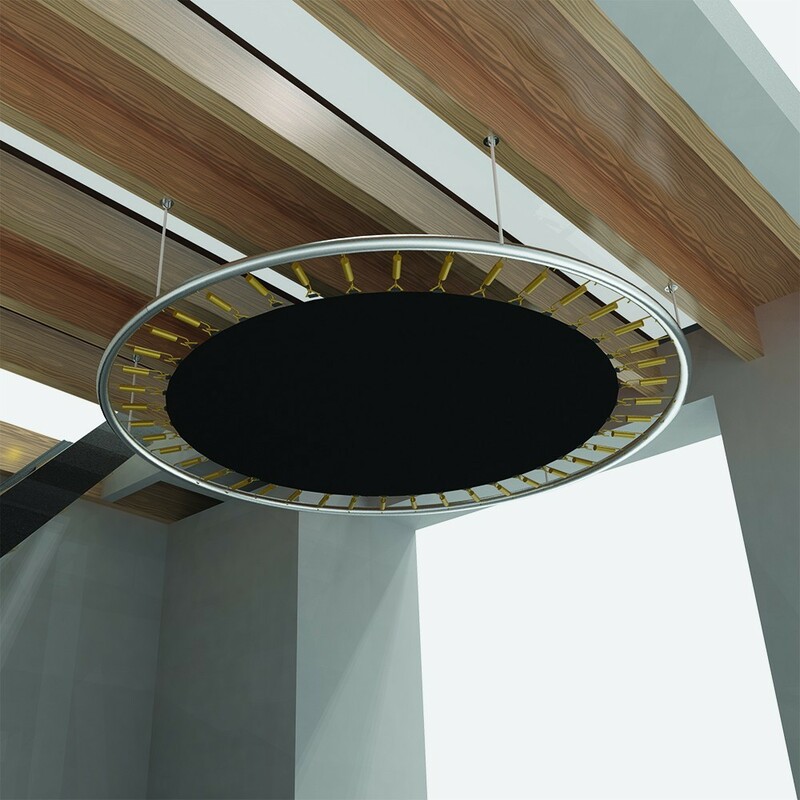 And you can even keep an eye on what you keep up there thanks to its circular shape! 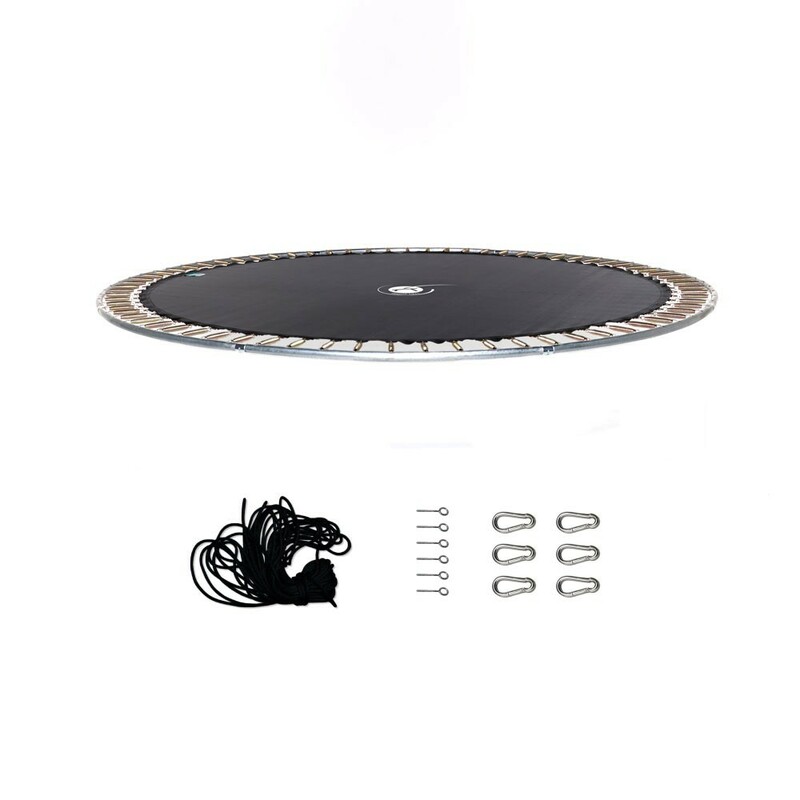 - Delivered ready to be assembled: in your parcel you will find: a framework, a canvas, 54 springs along with the tension rope and pitons used for the fixing system. Thys type of eye screw allows you to securely screw into harder surfaces. All you need to do it put it together!